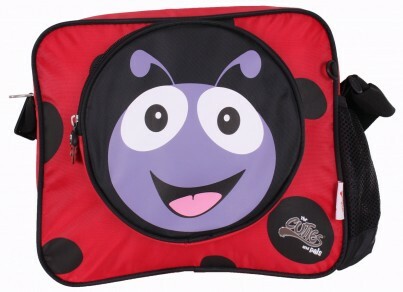 Introducing the 'Cuties and Pals' Cute, loveable luggage for Kids! 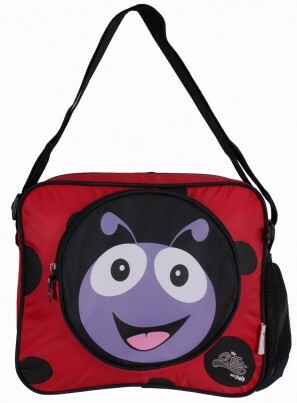 A Fantastic and Fun Shoulder bag to get everyone talking! The case weighs just 1.8kg, so helps meeting those meet weight restrictions set by airlines. The back pack, just 0.8kg! The size of the case is 46cm x 31cm x 25cm. Capacity is 26.5 litres. 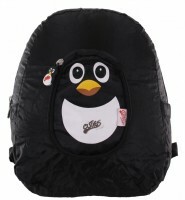 The size of the back pack is 32cm x 27cm x 13cm. Capacity is 13.5 litres. 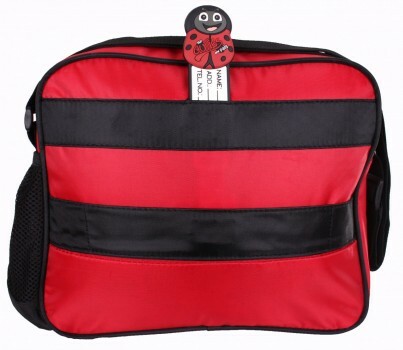 The cases and back packs are suitable for ages from 2 up, to adults. The cases meet most airline hand luggage restrictions, but we recommend you check with your airline before flying, as these are subject to constant change. 1 year garentee for trolletycases, subject to terms. Incidental and consequential damages are expressly disclaimed. Labour charges and damages attributable to work performed by anyone other than at Picture Case are not covered by this warranty. To the extent permitted by applicable law, any implied warranties are hereby excluded. The warranty provided herein is limited to the value of the Product. Manufacturing specifications are subject to change without notice. Product breakage or entry by airline or airport personnel or governmental authorities. Inspect your Product immediately after handling by anyone other than you. If damaged in transit, submit a claim to the transit company (which is insured against damaging your product) at the place of arrival, if possible, before clearing customs. We guarantee all unused or defective merchandise for 14 days from the receipt of shipment. If you are not completely satisfied with your purchase you may return or exchange any unused or defective merchandise for a prompt refund or exchange. *Returned goods must be in the same condition that you received them in. Used products are non-refundable. Picture Case has the right to refuse products that are returned to us in used condition. Returns Procedure : Simply call us at 01371 878047 for assistance in returning or exchanging your item All items must be returned unused, with authentic labels, use instructions, guarantee leaflet and other hang-tags and wrappings, and in original packaging. You are responsible for returning the products to us as soon as possible and at your own cost. If goods returned under your right of retraction are not in a re-sell-able condition, we will not accept your return. To exercise your right of retraction, please give us written notice by e-mail to info@picturecase.co.uk and follow the return procedure set out below : Return instructions 1. Please contact info@picturecase.co.uk with the reason for the return. We will e-mail you a return label, a return number together with the return instructions. The return is at your own cost 2. Pack the item to be returned (only unused items, with authentic labels, use instructions, guarantee leaflets and other hangtags and wrappings) in its original carton to prevent damage while in transit. 3. Please print the return label and tape it on your return package. The return label will comprise all required data like your name; your address and the return address; your phone number; item number and/or description of item being returned; and the return number. 4. You have to organize the return within 7 calendar days from the date we sent you the e-mail with the return label, the return number and the return instructions. 5. Provided you have respected all return requirements, we will give refund instructions within 10 days. In the event you have not respected all return requirements, we will advise you by e-mail why we cannot approve your return. Please return only on-line purchased merchandise through the procedure described above. The products purchased on-line shall not be refunded nor returned by our stores or dealers. Cancelled orders We will send an email to confirm your order has been dispatched on the day it is being sent to you. If you cancel your order via email or phone, prior to that email, or by 3pm of the day of the email, we can stop the dispatch of your order, and make full refund. Should you cancel after this time, and the order has been dispatched, we would have to deduct £8.00 from your refund to cover the delivery charges. We then recommend you refuse delivery of the item, so it is returned to us at no extra delivery cost to you. Should you accept delivery, you will be liable for the postage to send back the product to obtain your refund. Defective product, damaged product or product lost in transit and wrong delivery. You must check whether your shipment is correct upon delivery. If there are discrepancies or problems with your order, you shall note the nature of the discrepancy or the problem on the delivery note and sign it. You shall give us written notification of the problem within 24 hours of the delivery date by e-mail to info@picturecase.co.uk and follow the returns procedure described under \"Your right of retraction\", but for faulty goods or goods being returned due to our error we will also refund any cost incurred in returning the item. Subject to availability, we will send you a new Shipping Notification E-mail and we will automatically and immediately ship to you at our own costs the correct replacement product. If you require any help with this procedure, please call 01371 878047 Faulty Products to be returned under guarantee Picture Case products are rigorously tested to ensure that the travel products you trust meet stringent standards. Consequently, if a problem occurs with any Picture Case or “The Cuties and Pals” product (the "Product") and the problem is caused by manufacturing defects in material and workmanship, Picture Case will, in its discretion, either fix or replace the Product in accordance with the warranty terms and conditions stated herein. Please either email or post a copy of your purchase receipt (to prove date of purchase) to us at info@picturecase.co.uk or Essex House, 39-41 High St, Dunmow, Essex, CM6 1EA, along with details of the fault. The guarantee provided applies only to the first purchaser or gift recipient of the Product. The duration of the guarantee is stated on the warranty card on the Product and/or in the list of Product features on our website This warranty covers only manufacturing defects and does not cover any damage caused by misuse (such as transportation of unusual items), neglect, accidents, abrasion, exposure to extreme temperatures, solvents, acids, water, normal wear and tear or transport damage (by airlines for example). While non-warranty maintenance or repairs on your Product can be performed by any company, Picture Case requires that you use ourselves for warranty repairs. Improper or incorrectly performed maintenance or repairs void this warranty. You are, however, responsible for all costs of getting the Product to us, but not limited to, the cost of packaging, shipping and applicable taxes. The return procedure should be followed as per the returns procedure as above If the guarantee applies, you will be notified as to whether the Product will be repaired or replaced. Any such repair or replacement will be at Picture Case expense, including any costs required to return the repaired or replacement product to you. If the Product is to be replaced and the Product is no longer available, Picture Case will substitute a comparable Picture Case/The Cuties and Pals product. Should the product found not to have any manufacturing fault’s, you will be responsible to collect the Product at your own cost. Incidental and consequential damages are expressly disclaimed. Labour charges and damages attributable to work performed by anyone other than at Picture Case are not covered by this warranty. To the extent permitted by applicable law, any implied warranties are hereby excluded. The warranty provided herein is limited to the value of the Product. Manufacturing specifications are subject to change without notice. Product locks are intended only to prevent accidental opening and cannot necessarily prevent theft of the Product or its contents, breakage or entry by airline or airport personnel or governmental authorities. Inspect your Product immediately after handling by anyone other than you. If damaged in transit, submit a claim to the transit company (which is insured against damaging your product) at the place of arrival, if possible, before clearing customs.